Our fleet of 25 bobtail vans is professionally maintained and equipped to meet the needs of our customers. 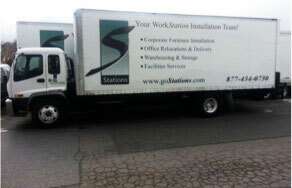 We pick up and deliver your product for storage or installation. We provide long-term and short-term customer storage options. 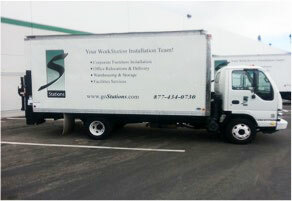 We also can handle small to medium-sized relocations. Just in Time distribution and deliveries are no problem. All our vehicles have a California Carriers Permit, are licensed and inspected by the DMV, the CHP, and the Department of Transportation (DOT) to meet all safety requirements. In addition, our drivers are trained, tested, and monitored to make sure they meet all legal requirements. Safety is a major concern for our company. Our insurance company also monitors our performance and compliance with all rules and regulations. We have regular safety meetings for all employees to reinforce the need to minimize the potential for injuries or accidents. Your safety is a major concern for us.